beautyamare: Flowery Tuesday Outfit of the Day! 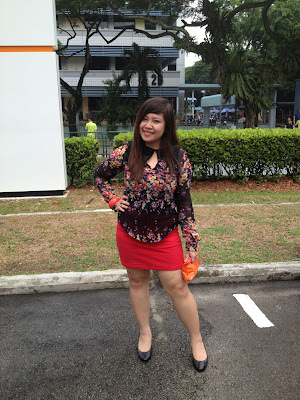 Flowery Tuesday Outfit of the Day! 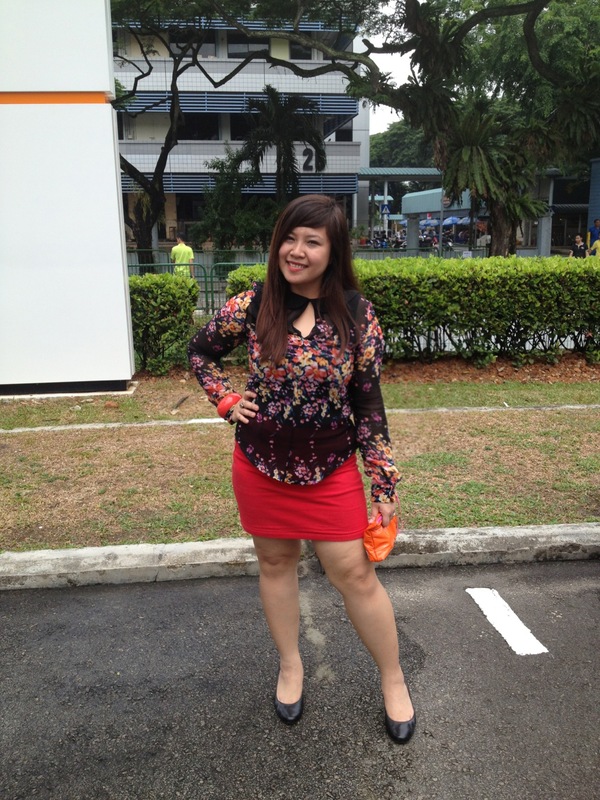 I decided to wear a sheer flowery black long sleeve, body-con red skirt, and a pair of pump shoes from. 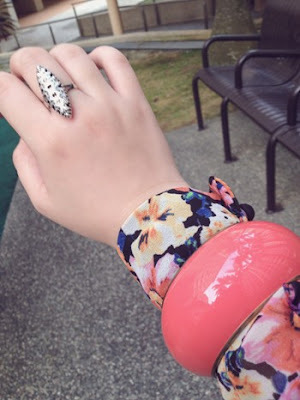 I really don't like to use dramatic accessories to go into any flowery shirt or dress. A bangle and a ring will do. 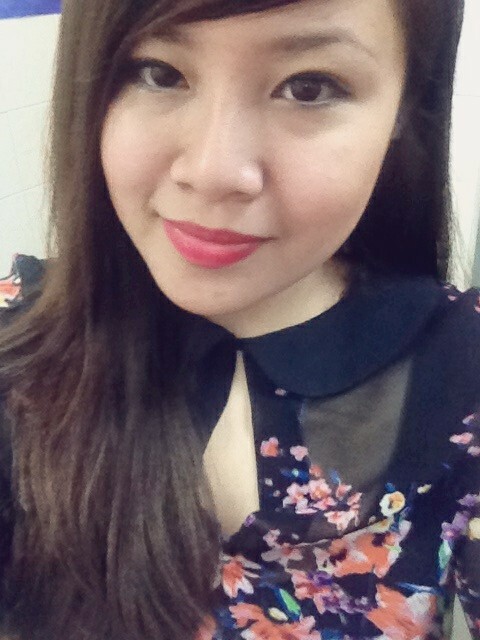 I am happy it's not hot today, so I put on some red lipstick and winged eyes.